A 3 hour journey of relaxation, visualization, chakra clearing, sound healing & breathwork to the sounds of evocative music. She has been in the healing field since 1972. She holds a Bachelor of Science, and a Masters in Public Healthcare, as well as a Doctorate in Natural Healing. She is a California State Certified Massage Therapist, Nutrition Consultant, and Phlebotomist. 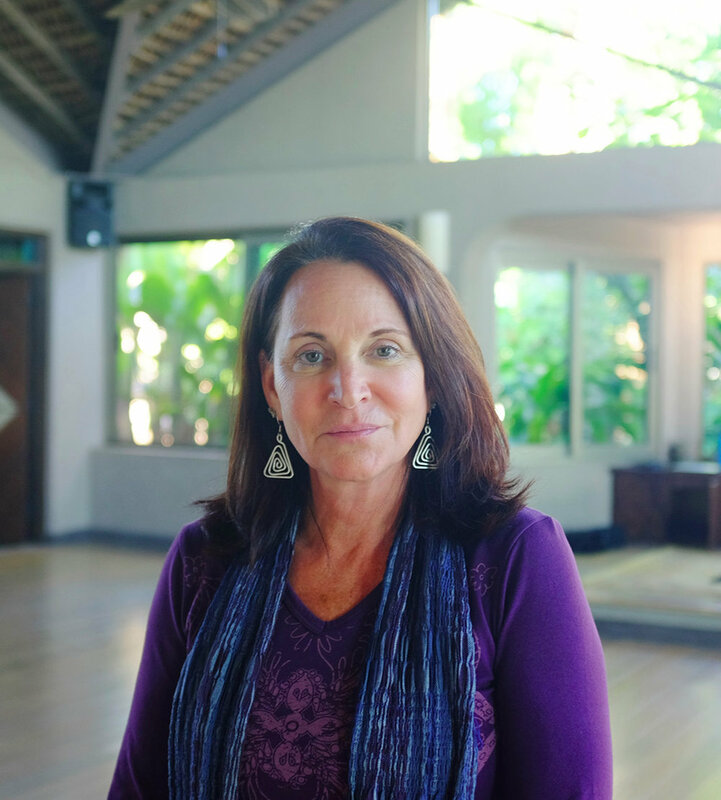 Before moving to Baja Diana had a private Health Care Practice in the Bay Area of California where she specialized in energy healing techniques, kinesiology, nutrition, detoxification, parasitology, environmental dentistry, NAET, and Bio SET. 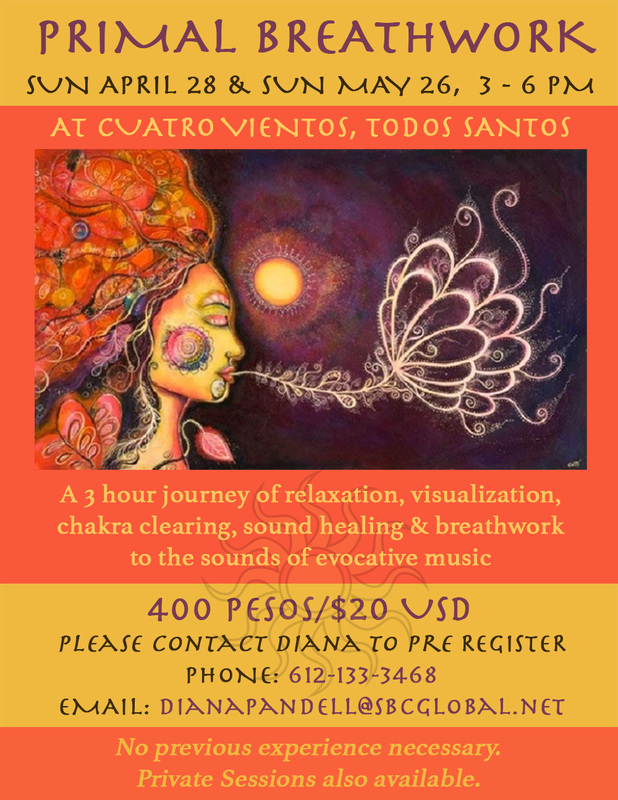 Diana currently offers Breath Work Classes and A Course in Miracles at Cuatro Vientos. She also offers private sessions that include: Reiki, Breath Work, Past Life Regressions, EFT, Chakra Clearing, Energetic and Shamanic Healing.